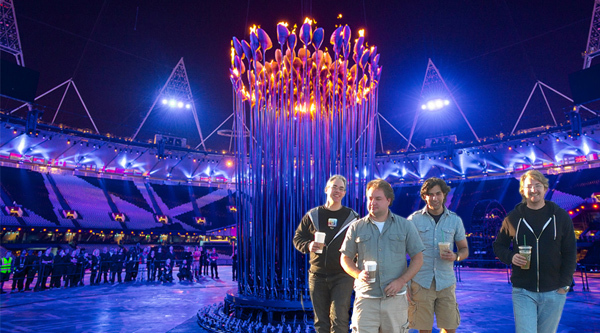 The London 2012 Olympics are officially over. I always love watching the Olympics, so was sad to see them come to an end. Like the opening ceremonies, the closing ceremonies proved entertaining. Hell, even the Spice Girls reunited for the night to heat things up. I also got a chuckle when Eric Idle, of Monty Phython comedic fame, rolled out of a cannon and took to the stage to sing his classic hit, Always Look on the Bright Side of Life. I decided to borrow the title of that song for the title of this week's From the Editor's Desk post. Now, the original singing of this song in Life of Brian was a little morbid in terms of the circumstances under which it was sung (see video), but the overall message is a positive one and it kind of reflects accurately of RIM's position at the moment. To me, there are actually a whole lot of things to look at on the brighter side of BlackBerry life right now. Sure, overall things are in mainly the same challenging spot - we're waiting until 2013 for BlackBerry 10 and we're sure the earnings reports will get a bit more grim between now and then, but last week proved to be a bright week. New Hardware - the 4G LTE BlackBerry PlayBook is available! It's not available everywhere just yet, but the 4G LTE BlackBerry PlayBook is now available in Canada. CrackBerry's Bla1ze has one in his hands and is working on his review as I type this. Both Bla1ze and I are on Rogers in Canada, but Bla1ze has LTE coverage in Halifax, while I'm still waiting for it to be rolled out in Winnipeg (Rogers says it's coming this fall). As long as I have LTE for the launch of BlackBerry 10 I'll be happy. You can check out Bla1ze's 4G LTE PlayBook unboxing above, and be sure to enter your 4G LTE PlayBook contest - we're giving away one for free. No, it's not BlackBerry 10, but new hardware to review is definitely on the brighter side of BlackBerry life. And in the case of the 4G LTE PlayBook, it will be upgradable to BlackBerry 10. Excellent. 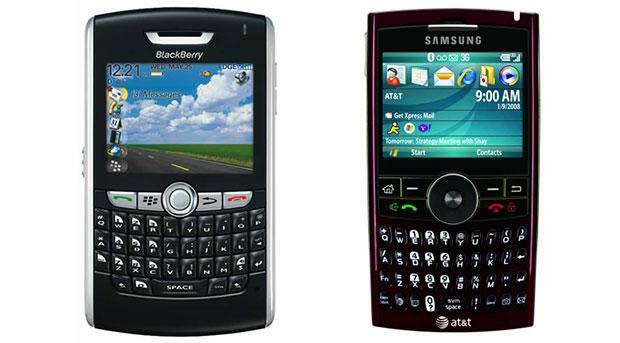 Before Samsung was ripping off Apple, they were ripping off BlackBerry. Remember the BlackJack? RIM actually filed and Samsung rebranded it the Jack. The tech media spotlight is focused at full force right now on the Apple vs. Samsung legal hearings. The bright side for BlackBerry here is that they are not involved in this one! And a little egg on the face of your competitors never hurts. It sounds silly, I know, but it's true. RIM just needs to keep their heads down and execute on getting the work done leading up to the launch of BB10, so being out of the media scrutiny spotlight a bit allows them to do just that. The Apple vs. Samsung hearings are also exposing a lot of *interesting* stuff. Over at iMore, Rene wrote an excellent editorial yesterday calling out Samsung on their lack of original innovation in mobile. While companies like Palm, RIM/BlackBerry and Apple truly have innovated, Samsung has been one to push the specs on others innovations. Worth a read. Also on the legal front worth mentioning was the overturning of the Mformation patent verdict which had RIM set to pay out $147 million dollars. That's definitely one for the bright side of BlackBerry life - let's see that money go to marketing the heck out of BlackBerry 10. Good marketing in India - Action Starts Here! Speaking of marketing... You often hear that BlackBerry is still doing extremely well and growing internationally, but if you're not living in those markets it can be hard to visualize. Afterall, it's seeing that's believing, right? That's why I love seeing international marketing campaigns for BlackBerry, especially ones that ROCK. In India, BlackBerry is rolling out a new marketing campaign with the theme of Action Starts Here. The ads are fun and in the theme of BlackBerry People Do, in a way that's... well, better. The response from CrackBerry readers has been solid to the new ads. Bla1ze absolutely loves them. I get a kick out of the commercial above. I love reading the comments to blog posts on CrackBerry where we've posted these videos, especially when you see ones that say "in India it's sacrilege not to own a BlackBerry." That's my kind of country! Love from Verizon for BlackBerry 10 - In an unofficial but positive manner. We got a tweet from Robert Scharf letting us know he was just hired by Verizon to sell BlackBerry 10. His official start day is today actually and we wish him the best here. The bright side on this one is obvious - if Verizon is hiring sales people 5+ months out from launching BlackBerry 10 to sell it, it shows they're going to support it in a way that's meaningful. Awesome. The stock rallied up - RIM's stock price has been anything but on the bright side lately, but it did move up some 17% last week. Now, this was on the back of unconfirmed rumors... but any movement up for RIM shareholders is a good thing. CrackBerry Recorded a Podcast! - It's always a good week when these happen. Last week was a bright one in this BlackBerry user's life. I had a lot of fun CrackBerry blogging. Now to keep it up right through the launch of BlackBerry 10!